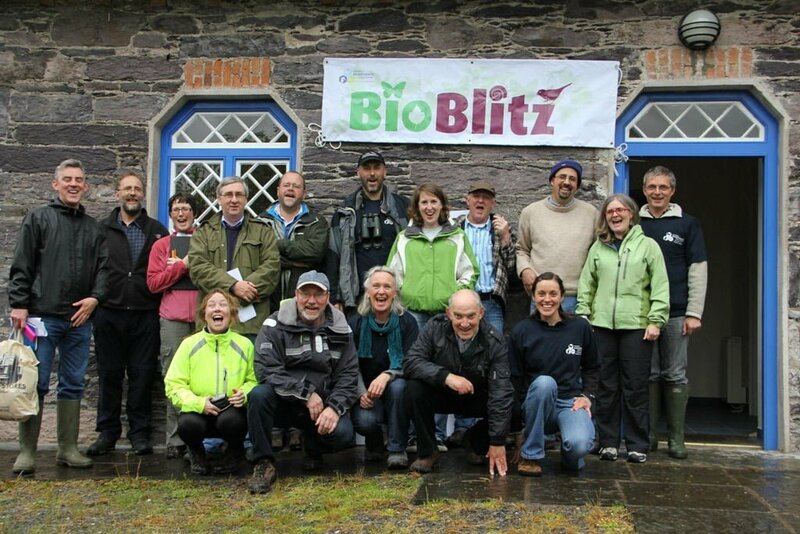 Glengarriff Nature Reserve in West Cork was crowned BioBlitz Champion 2012 over the weekend with an incredible tally of 1,020 species over 24 hours. The team at Glengarriff beat stiff competition from Crawfordsburn Country Park in Co. Down, Lough Boora Country Park in Co. Offaly and Dublin’s Phoenix Park, coming from behind to take the title. At the 3pm tally on Saturday Lough Boora had stormed into the lead with an interim total of 728 recorded species, with Glengarriff trailing by 81 species on 648, followed by Crawfordsburn with 570 and Phoenix park on 315. 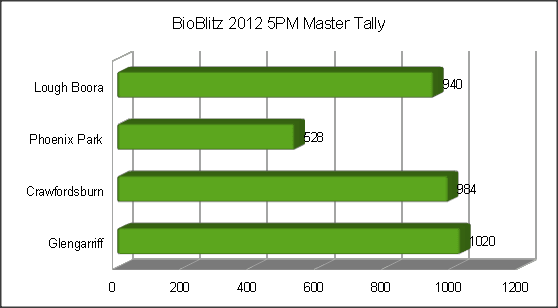 A spectacular comeback at the final 5pm tally saw Glengarriff retake the lead they’d held early in the day to claim the crown as Ireland’s BioBlitz champions 2012. They were the only team to break the 1,000 species mark this year. Crawfordsburn surged into second place with a final tally of 984, with Lough Boora in third with 940 and Phoenix Park bringing up the rear with an impressive urban biodiversity total of 528. Lough Boora claimed a special trophy for “Most Plants Recorded” with 334 species… just four more than Glengarriff, while Crawfordsburn recorded the most species per grid-square area. 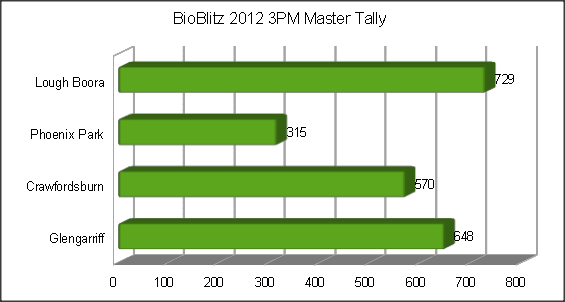 The real winner of BioBlitz 2012 though is Ireland’s biodiversity. The event offers a wonderful opportunity to highlight the astonishing variety of life that exists around the island of Ireland.